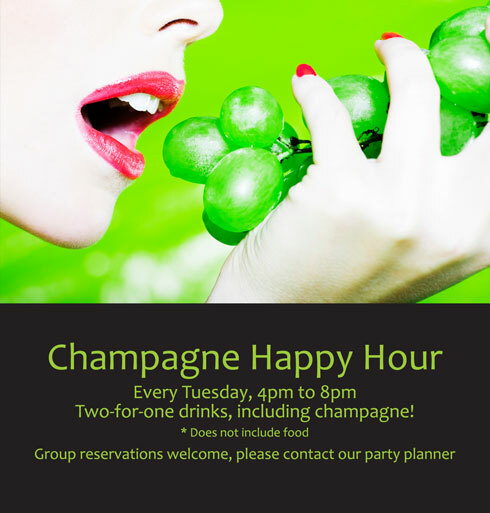 Two-for-one drinks, including champagne, every Tuesday until 8pm. Reservations welcome. To reserve for a group, please contact our party planner.